What happens if a bond approval is found to be nullified - AFTER the money is spent? Michigan has a problem enforcing its constitution. The old “taxation without representation” line has never been more relevant than when election time comes and voters are asked to approve a bond approval. What is a problem, is that many voters for some ballot asks are not even eligible to engage in the process. In the election law section of the Michigan Constitution, without any further qualification, it addresses who is entitled to vote on bonds or ad valorem increases that extend beyond 5 years. Sec. 6. Whenever any question is required to be submitted by a political subdivision to the electors for the increase of the ad valorem tax rate limitation imposed by Section 6 of Article IX for a period of more than five years, or for the issue of bonds, only electors in, and who have property assessed for any ad valorem taxes in, any part of the district or territory to be affected by the result of such election or electors who are the lawful husbands or wives of such persons shall be entitled to vote thereon. All electors in the district or territory affected may vote on all other questions. Having looked at this in years past, I had an attorney do a bit of research, and it seems the application of our state law was subverted by a 1969 ruling, though not properly annotated to reflect it. There is no subtext, or footnote addressing this on a United States constitutional level. The ruling that seems to have the bearing on this almost drives home the point that judicial review ought to be a mandatory act; stare decisis be damned ..almost. In KRAMER v. UNION SCHOOL DISTRICT, the US Supreme Court said voters get to choose who represents their interests. Disenfranchising voters is bad, right? But the effect on this case Michigan’s rule-of-law has been over reaching however, as there is a stark difference between elections of PEOPLE in representative bodies, and a direct voting of money from property owners to projects favored by those who have no property owning stake. So there is a curiosity here. Who is supposed to follow the state constitution? Is it the Attorney General, who is charged to defend the constitution on such matters before the court? Is it the Secretary of State, who must provide guidance for the clerks on separation of ballots to property owners, and their husbands/wives? The constitution of our state provides an explanation of why the Term Limit referendum enacted by the people of Michigan in 1992 has been neutralized. U.S. Supreme Court found that an amendment to the Arkansas Constitution prohibiting the name of an otherwise-eligible candidate for Congress from appearing on the ballot if that candidate had already served 3 terms in the House of Representatives and 2 terms in the Senate was in violation of the Federal Constitution. The Supreme Court held that: “(1) states may not impose qualifications for offices of the United States representative or United States senator in addition to those set forth by the Constitution; (2) power to set additional qualifications was not reserved to the states by the Tenth Amendment; and (3) state provision is unconstitutional when it has likely effect of handicapping a class of candidates and has sole purpose of creating additional qualifications indirectly.” US Term Limits, Inc v Thornton, 514 US 779; 115 S Ct 1842; 131 L Ed 2d 884 (1995). At least the footnotes are there to address it, though #2 is backward in it’s application. The constitution does not limit the states via the 10th amendment, but instead limits the federal government. In any event, in the publishing of Michigan’s constitution, the footnote describing the absence of constitutional action with regard to the term limits amendment is present. The footnote regarding any failure to enforce the Article II section 6 requirement is not. On August 7, 2018, voters in Grand Traverse, Leelanau and Benzie Counties will consider a bond proposal that would provide funds for Traverse City Area Public Schools’ capital bond plan, a multi-year infrastructure, technology and transportation plan. The plan is part of TCAPS’ ongoing efforts to ensure that our local school system provides every child an opportunity to attend school in a safe and supportive learning environment. The proposal would provide $107 million over 10 years at an estimated tax rate of 3.1 mills. If this proposal is approved, it is expected that there would be no increase to the current tax rate. 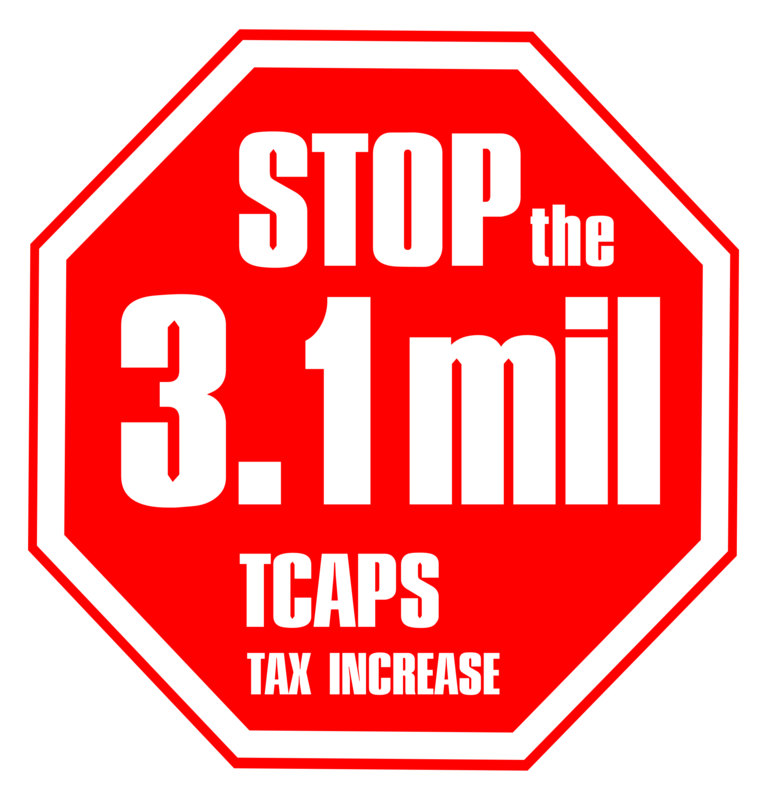 TCAPS’ debt millage rate has been the same for the last 20 years and is 40% lower than the state average of 5.4 mills. At that millage rate, the cost to taxpayers is $310.00 per $100,000 of taxable value on a home. Reconstruct the main entrance at Central High School, West Middle School, and several elementary buildings to improve security infrastructure and facilitate improvements to visitor check-in procedures. Reconstruct one elementary school building. The TCAPS Montessori at Glenn Loomis building is currently the highest priority building in the district due to its condition, age, and lack of physical design to support Montessori instruction. Create dedicated science, technology, engineering and math (STEM) and robotics laboratories at Central High School and West Senior High School. K-12 STEM instruction is a key educational initiative for TCAPS, which is designed to give students the tools and knowledge they need for the future. Projects vary by building based on need and include projects to upgrade or replace roofs plumbing, heating and cooling systems, flooring, parking lot/walkways, restrooms, classrooms, physical education spaces, and playgrounds. Continue the district’s bus replacement program, which allows the district to offer safe and reliable transportation for TCAPS students as well as area private and parochial school students. TCAPS continually receives 100% passing ratings on school bus inspections by the Michigan State Police. Continue technology program, which allows students and schools to access technology that supports learning and student achievement. I certainly have my own opinions on all of that as I find $11million slush funds to be a turn off, but the bigger point needs to be made. What allows such a measure to appear on the ballot in the first place? One might delve into the minutia of what the schools are throwing at the voters to get approval, but the fact remains that the ‘ask’ itself is likely unlawful. The question is of a duration that technically excludes a range of voters and must be separated for voting by those who are entitled to do so, by our constitution. Is it a good idea to continue ignoring the law enacted through our state’s constitutional process? Will our elected representatives properly do their jobs? Given the absence of explanation for ignoring enforcement within our state’s guiding document, perhaps it is time they start. ← We DID just dodge a bullet (in 2018). You should announce that you're having a fundraiser for his campaign in order to get his undivided attention. Nothing else seems to work nowadays.